Home / Rides & Events / Other Motorcycle Stories / Bikini Bike Washes: Attraction or Deterrent? Bikini Bike Washes: Attraction or Deterrent? There’s no way I’m the only female receiving this e-newsletter who’s not excited about the upcoming bikini bike wash.
To be honest, I’m a straight, single, male, motorcyclist, in my mid to late twenties, with disposable income and a two car garage with three bikes in it. I don’t know if I’m the exact demographic that the dealership was hoping to attract with their bikini bike wash, but I can’t be too far off. And guess what? I really don’t care about bikini bike washes either. Liz brings up a few reasons why she thinks men wouldn’t be interested in the event. Sure, most of your customers are probably men, many of whom may be amped up about the bikini bike wash. But trust me when I tell you, all the men reading your e-newsletter aren’t excited about it either, for any multitude of reasons. So what exactly does Liz suggest are the reasons why men might not be interested in bikini bike washes? That’s a rough start! 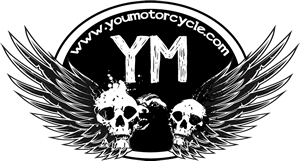 Are motorcyclists not passionate about freedom? Would we really marry men or women who would have to give us to go where we want to go and do what we want to do? Hey, maybe this kind of attitude is the reason why I’m single, but I prefer that over needing to ask permission to go to a silly bike wash. This really doesn’t apply to me either. or maybe they’re put off because they’re reading your e-newsletter at work and worse than getting caught with a motorcycle on your screen is an image of a bikini-wearing girl. Sure, I guess that’s a possibility, but really, according to a 2014 Marketing Land article, 66% of email is opened via mobile. Sorry Liz. 1) Ever gotten your motorcycle washed at a bikini bike wash? It’s a lot of dirty water and dirty cloths. The emphasis is on bikini, not on bike, or on wash. You’ll probably go home and wash it yourself. 2) These women are people, and some of them are my friends. Outside of the beach I don’t need to be in public gawking at my friends in their bikinis. That’s what Facebook and Instagram is for. 4) I don’t need to need to go to a bikini bike wash to hang out with partially dressed women. I have this thing for that. It’s called a cell phone. 5) I don’t want to be that guy. You know the guy I’m talking about. He stands around. Takes pictures. Thinks he’s flirting with the girls because he knows their names. He’s a creep. The girls don’t like him. Don’t be that guy. If you’re noticing your average customer is an aging male, and you want to bring new buyers into the store, you’re not going to draw in the female base by hosting too many events that don’t at all cater to their liking. I’m not saying all events have to include female-friendly activities, but they can include rider-friendly activities that would appeal to both sexes. Think about bike shows, PG&A sessions, stunt shows, food trucks, concerts, etc., that can draw in the largest variety of people, appealing to both your current customers and those who you’d like to be selling to tomorrow. The more that your events appeal to a variety of people, the more likely you are to draw a new group of people into your store, and that, in turn, opens opportunities to make new sales. Bikini Bike Washes – do these draw you in, or keep you away from a dealership or event? I’d leave that to the Car Clubs & cars, washing my motor, old ’38 Knuckle requires selective H20 application, or there goes Electrics, Brakes etc. Actually it’s more gunking the oil off than washing, so I may not be a qualified judge of this anyway, you know ? Good point. One more reason to either proceed with caution or steer clear altogether. Would love to see some pics of that ’38 knucklehead some time, Mark. There’s gotta be a story behind it! Something that a lot of new riders might not think about until it’s too late. “My feeling is that a well formed woman has many more career options than cleaning motorcycles and I question her devotion to the task.” – Jefe Smith – from the chapter titled “Bike Cleaning” in the book, LIFE, AMERICA and the ROAD to KEY WEST A Biker’s Perspective.